Back-Track Investigations & Special Services Ltd. has a great deal of experience in investigating, documenting and assisting clients with their claim. In our experience we have had a much higher success rate for a settlement when we have been hired to go and document the damages at the time they are most noticeable. This gives us a better opportunity to assess where the damage come from and to do soil and plant samples as this is very time sensitive. Over the years, we have documented a high number of seed complaints, for an example, a producer may have used two different lot numbers. One was excellent and the other one had very poor germination and vigour leading to a substantial production loss. We have had a number of clients who had purchased seed privately and have also experienced poor germination and vigour. It is very important for producers to always keep a sample of the seed tags along with a sample of the seed, as well as the date and rate the crop was seeded. This is always very helpful if you ever experience a seed problem. Over the years, we have documented a high number of chemical complaints where producers have experienced damage to their crops resulting in substantial production loss. These types of chemical complaints are vastly growing due to all the new and generic chemicals on the market and the number of times the fields are being sprayed each year. Spray drift complaints have increased substantially over the past few years as a result of the number of high clearance sprayers and aerial applicators spraying when the weather is unacceptable. This has caused severe damage to neighbours' fields, farmyards, gardens, shelter belts and organic farms. We would suggest that if a farmer witnesses a neighbour or custom applicator spraying while the weather is unacceptable to document the date, the time, and the weather conditions as well as the make of the equipment that is being used. We have many years experience in dealing with spray drift claims as we have documented hundreds of fields, shelter belts, farmyards and organic farms that were damaged. Tank contamination claims have risen substantially over the last few years due to chemicals like Simplicity and Liberty where the spray tank had not been cleaned out properly which caused severe crop damage. A number of these claims are not the fault of the farmer, but are caused by custom applicators not cleaning out their tanks properly before going to another field. We strongly suggest, to avoid tank contamination, to thoroughly clean out your tank and system as recommended by the manufacturer. We have documented many damaged fields over the years where our investigation concluded that the problem with the fields that had residual issues caused a substantial production loss. We suggest that every producer keep accurate records of all chemicals that were applied to their fields in the past 5 years as well as what type of crops were seeded. We all know that there are a lot of excellent custom applicators; however there are still a number of claims regarding issues with custom applicators. For an example, wrong fields are being sprayed, spray misses, spray drift, failing to put on the recommended water and/or chemical or properly cleaning their tanks before spraying. Some complaints have been on the custom applicator failing to spray in a timely manner as promised resulting in dirty fields and a production loss. Over the years we have documented thousands of damaged acres as a direct result of equipment failure. During our investigation we found other producers with the same type of equipment who were experiencing identical problems, and because of our investigation, it made it much easier for our clients to be compensated. We have assisted many producers over the years with their Crop Insurance Appeals. We will investigate your situation, prepare a documented report of our findings, go to the Provincial Crop Insurance Appeal and assist you with your claim. During the last few years, we have been hired to assist producers that were denied payment on their land that was too wet to seed. Land and pasture fires have been known to cause a lot of damage. On many occasions we have been hired to investigate the cause of the fire, calculate all damages, prepare a compensation package and assist our client with their claim. We have documented the damages that were caused by wildlife such as birds, elk and moose prepared a compensation package and assisted our client with their claim. Some of our clients were unaware that they had damage from wildlife until they began harvesting. It has become very common for hail adjusters to defer hail damage claims on crops until fall, as they strongly believe that the crop could make a recovery, however a number of producers have hired us to come out and document their damaged crops in question, which will verify the extent of the damage shortly after the storm. 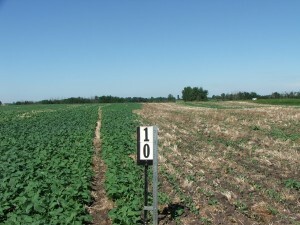 Our documentation has become very beneficial to the producers in question in settling their claims in the fall. On occasion we have investigated crop and land damage caused by oil wells or pipeline spills. In these situations the land in question could be damaged for several years from contamination to all water sources and crop loss. Soil and plant samples are a very important part of the investigation for verifying what could have caused the damage in question, and/or where it could have come from. We do a video interview of the farmer regarding his/her situation and his/her farming practice, a custom operator or anyone else who could be helpful to the investigation. 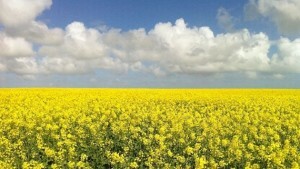 We assess all damaged and undamaged fields as well as neighbouring fields for a comparison. We take soil, plant and seed samples and GPS the area the sample was taken from. We GPS the damaged fields or areas and also take pictures and video at each numbered spot. At the time of the field inspection, we do everything possible to verify what caused the damage in question. It is common to do a yield comparison of the damaged and undamaged crop at harvest time using a weigh wagon or a local legal scale. This has become extremely beneficial for calculating the difference between the damaged and undamaged crop for preparing an accurate compensation package. In the 15 years that we have been in business, we have documented hundreds of agricultural complaints and assisted our clients with their claims resulting in many of our clients being compensated for their losses that were previously denied. If our investigation concludes that our client is in a claim's position, our investigative fees are claimable and will be added onto your compensation package.